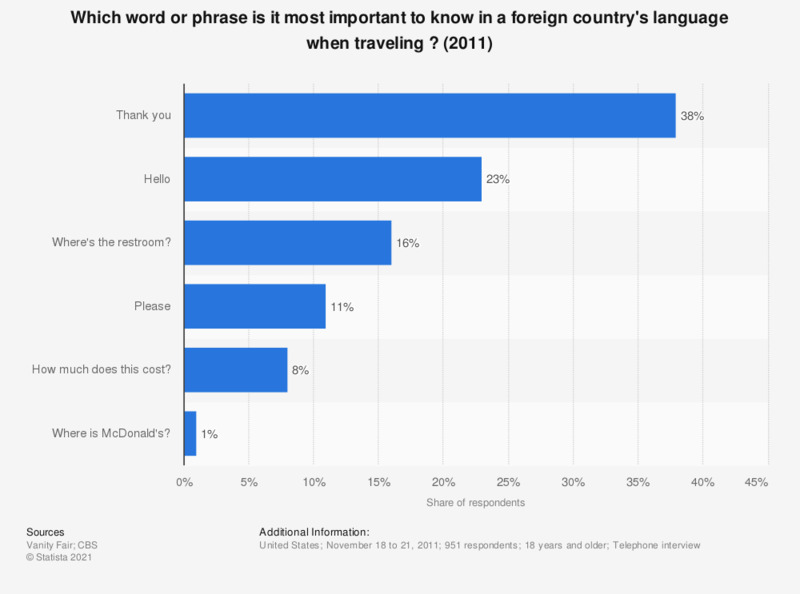 This statistic shows the results of a 2011 survey among American adults on the most important words or phrases one should know when traveling in a non-English speaking country. According to 38 percent, "Thank you" is the most important phrase to know in the respective language when traveling abroad. According to the source, some low-percentage answer choices were omitted. Statistics on "Domestic tourism in the U.S."
Are you planning to go on vacation within or outside the U.S. this spring?